One of the Latest Additions to Diesel Loco Shed, Gooty (GY) !! WDG 5 Class Locomotive 50004 alloted to GY, South Central Railway. 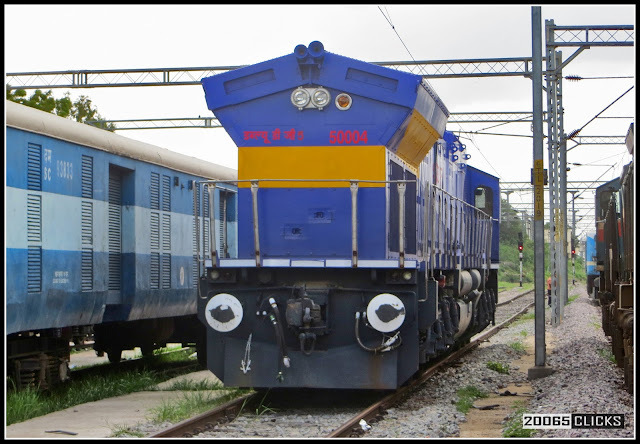 Diesel Loco Shed, Gooty happens to be the First Shed in the South to home this Rare class of Diesel Locomotives i.e WDG 5 !! The Latest Allotment to Diesel Loco Shed, Gooty - WDG 5 / 50004 !! !